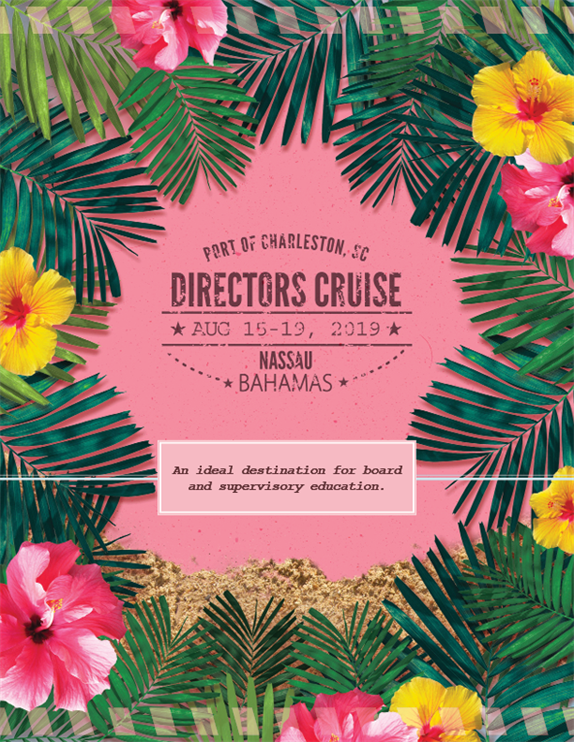 2019 Directors Cruise brochure now available; register early through April 1! Registration is open for the first-ever 2019 Directors Cruise August 15-19, and to put your mind on island time, the League has released the official conference brochure. The brochure includes information on the destination—Nassau, Bahamas—as well as the conference, speakers, agenda, ship details, and more! The Directors Cruise is a unique learning experience where credit union boards and supervisory committees can take in the sights, sounds, and educational content on CECL, improving communication skills, board modernization, and more. Cabins will fill up quickly so early registration is essential in ensuring Carolinas participants are accommodated. Passports are required to cruise but not to register so book now through April 1. Please contact CCUL Professional Development with any questions. Come sail with us August 2019! Watch this video here or on YouTube.